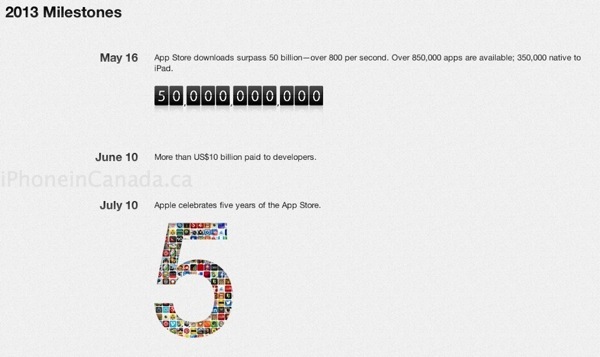 From the 500 apps available at launch in 2008 to the more than 900,000 at your fingertips today, it’s been a remarkably prolific five years for the App Store. To celebrate, we’re giving everyone five landmark games and five groundbreaking apps for a limited time. 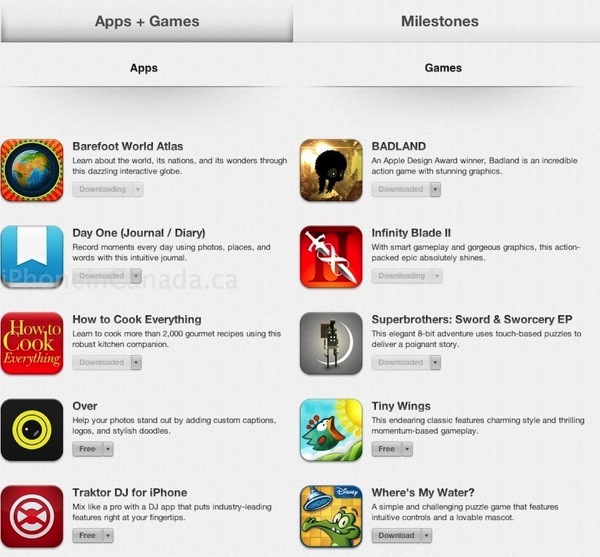 Plus look back at the key moments that have made the App Store the worlds most innovative destination for apps. 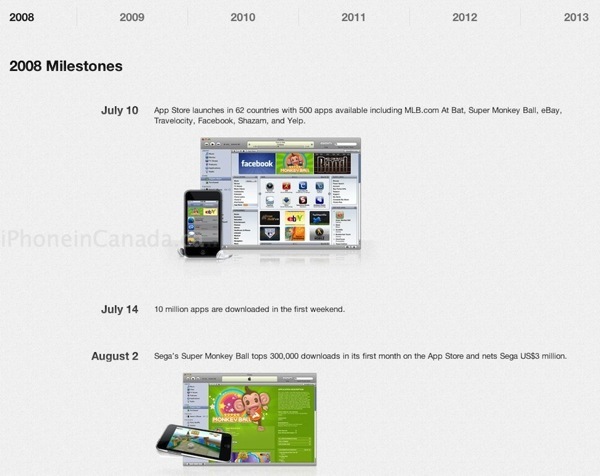 You may recall this timeline of App Store milestones is the exact same one sent out to members of the media last week. It’s been a remarkable run for the App Store, which remains the place to get the best apps on any mobile platform.